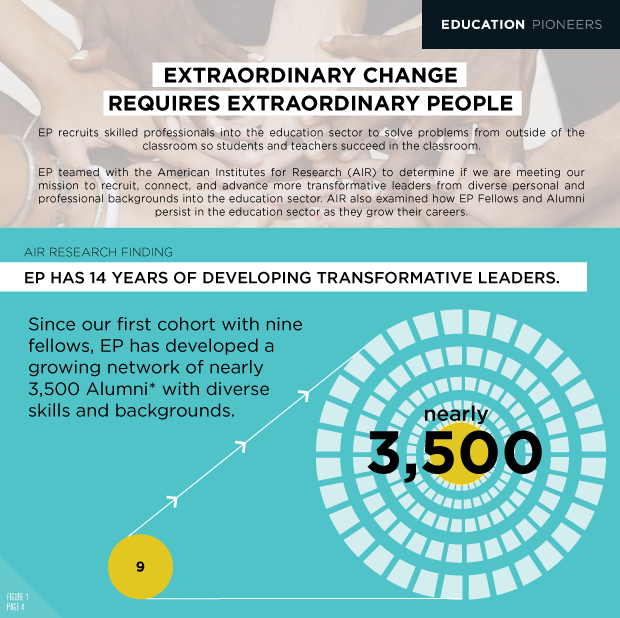 EP teamed up with the American Institutes for Research (AIR) to determine if we are meeting our mission to recruit, connect, and advance more diverse, transformative leaders into the education sector. AIR also examined how EP Fellows and Alumni persist in the education sector as they grow their careers. 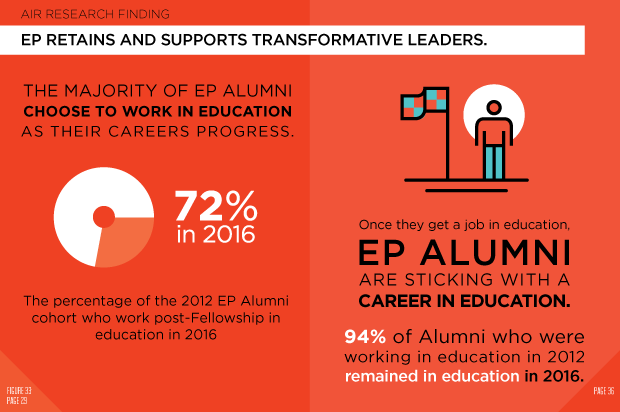 AIR’s research found that EP Fellows are highly educated: 81% of Pioneers held or were pursuing a doctorate in education, a juris doctorate or a master’s degree at the time of their fellowship. AIR’s research found that EP is diversifying education leadership. 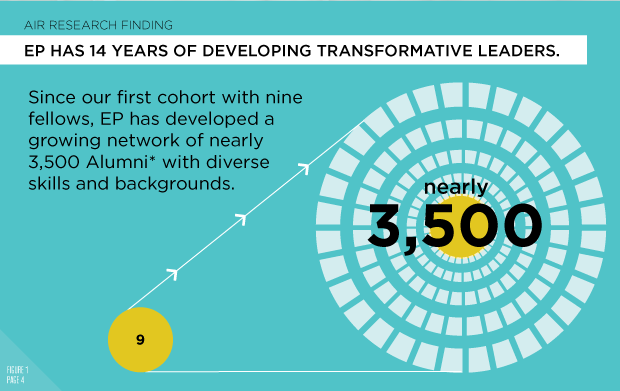 EP’s diverse network of Alumni are advancing to C-suite positions. 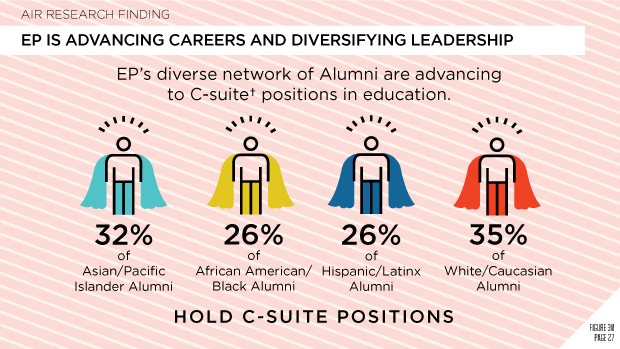 For example, 26% of African American/Black EP Alumni and 26% of Hispanic/Latinx Alumni hold C-suite positions in education. AIR’s research found that our Alumni in education stay in education. 94% of Alumni who were working in education in 2012 remained in education in 2016.